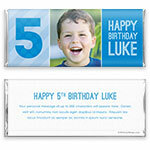 Simple but sweet, this lovely birthday photo wrapper is suited to any special celebration. 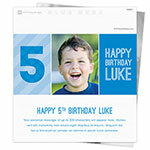 Design: Bold birthday number with a photo and stripes. Recommended Photo Size: 600 W x 769 H pixels.